Roka rejects outright any idea that Bougainville is logically part of Papua New Guinea, which he regards as being an abstract creation of European colonialism, that was itself an expression of the larger “scramble for Empire” which characterised European politics during much of late 19th and early 20th century. Roka’s writing is especially passionate and eloquent when he outlines the destruction of Bougainvillean culture and traditional social structures that was a result of the European takeover of the island. He believes that colonialism rendered Bougainvilleans virtually powerless in the face of a more technologically advanced culture: second class citizens in their own land. This opinion is consistent with what is now probably the generally accepted view about the impact of colonialism on the colonised. Bougainville’s demise as a long standing self governing entity laid the ground work for the future disaster that was to consume it. It was arbitrarily included in a country created by imperial decision makers who had never seen it and knew nothing of its history or ethnic origins. Its people saw the systematic destruction of their culture and traditions at the hands of the colonial power and were reduced, in Roka’s mind, to near slavery, functionally if not actually dispossessed of their land. Bougainville remained a colonial backwater until the discovery of vast copper resources near Panguna. This suddenly elevated it to the most resource rich and economically important province in the proposed new nation of Papua New Guinea. The Australian colonial administration was determined that a vast copper mine should be developed so as to provide a source of income to PNG once it achieved independence. The development went ahead without any real regard for the wishes of the legitimate traditional land owners at Panguna, who saw little benefit from the subsequent exploitation and destruction of their land. For Roka, Bougainville was a parting gift from Australia to the newly created government of Papua New Guinea, a government dominated by “redskins” who had no regard at all for the needs or aspirations of Bougainville’s people. The subsequent collapse of the Panguna venture brought about by the armed uprising led by Francis Ona is now well known, at least to those with an interest in PNG and the South Pacific generally. Less well known is the complex web of relationships, described by Roka, that under lay the uprising and which helped propel Bougainville into a period of bloody civil war which, by Roka’s estimate, directly or indirectly caused the deaths of anywhere between 10,000 and 20,000 people. Somehow this very brutal and destructive civil war seemed to pass largely unnoticed by the rest of the world. This is probably a commentary on the lack of importance much of the world attaches to the usually very small and poor countries of the South Pacific and Oceania. In considering where Bougainville might go in the future, Roka rejects any idea that it should stay as a part of PNG. He is adamant that PNG is a colonial construct to which Bougainville has no historic, cultural or ethnic ties. His strong desire is that it should become an independent entity, perhaps within a loose federation of the Solomon Islands. 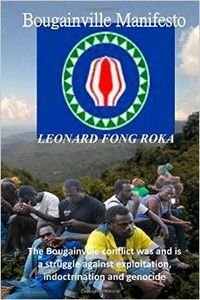 It is his great fear that, in the forthcoming plebiscite about the future of the island, Bougainvilleans’ sense of their own identity and uniqueness has been so compromised by the events of the last century that they may not have the will to grasp perhaps their last chance to seize back control of their destiny. 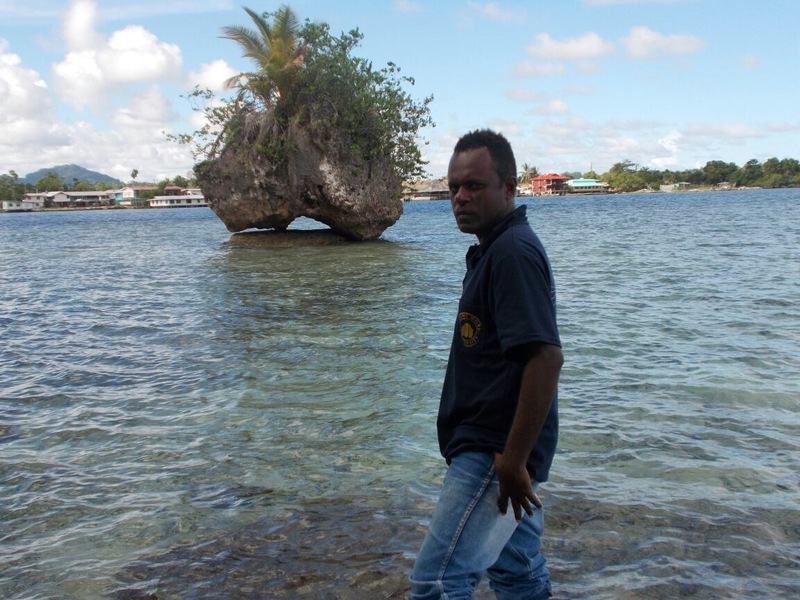 He is deeply worried about what he describes as the “redskinisation” of his island and the apparent lack of strong leadership from Bougainvilleans in elected office. Roka’s own vision for the future is of a sort of communalist, grass roots based system of governance that, to some degree at least, reflects the traditional structures of Bougainvillean society. He advocates a strongly protectionist economic structure, an education system overtly oriented towards teaching about Bougainville’s unique culture and traditions and is attracted to the social democratic governance models found in Scandinavia, with their strong emphasis on equity and fairness. Whether such a model can be successfully transplanted into Bougainville is a moot point. This is a useful book for anyone wishing to understand how Bougainville came to be in the situation that now prevails. Roka expresses what might reasonably be characterised as the views of a Bougainvillean “nationalist”, presenting a very different idea about what the future should be when compared to that of the PNG government. If Roka’s views are representative of a significant majority of Bougainvilleans, then the result of the forthcoming referendum on the island’s future will see it moving towards independence. This will present huge challenges to both Bougainvilleans and PNG. Even if his views represent those of a small but significant minority, then it is entirely conceivable that any referendum will achieve little other than to polarise opinion on Bougainville and, perhaps, incite a resurgence of the violence that bedevilled it in the recent past. Whatever the future may hold for Bougainville, I fervently hope that it is a peaceful and prosperous one. Its people deserve nothing less.